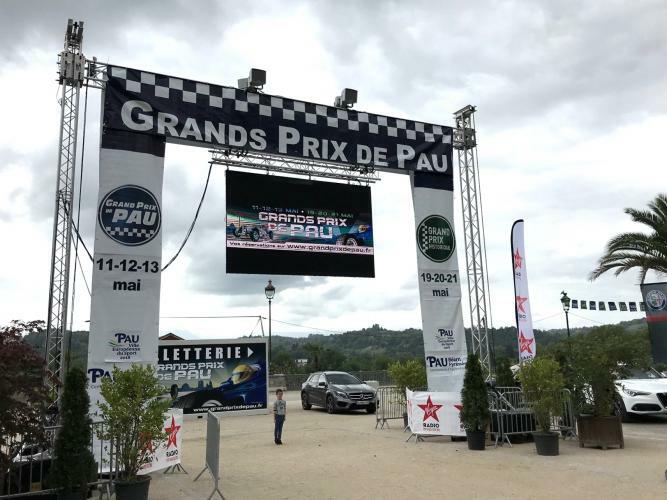 PAU, France – Community Pro R SERIES loudspeakers were selected for the sound system provided for the Grand Prix of Pau by Audio Equipments Spectacles (AES). For more than a century, the streets of Pau city in the south of France are annually transformed into a race track as the city welcomes the Grand Prix of Pau. Over two weekends in May each year, visitors enjoy a spectacular festival of motor sport events. The festival includes the Pau Grand Prix, a main event of the FIA F3 European Championship, and the Historic Grand Prix, which combines race track competitions, parades, vintage car shows and private track sessions. Since 2017, the festival has also included the exciting FFSA GT French Championship, the French Formula 4 Championship, and European Formula Renault 2.0 racing. The 2005 Pau Grand Prix saw victory for a young Lewis Hamilton, who later went on to become a Formula One World Champion. Rain during the first weekend of the 2018 event provided nature’s ubiquitous challenge for both the racing drivers and the PA system. Beautiful sunshine over the second weekend allowed the drivers to use full throttle, presenting a different challenge for the PA. Audio Equipements Spectacles (AES) designed and provided the sound system for the public areas of the event, including the five grandstands located at key spectator points around the track. To achieve the best sound quality possible, AES manager, Jean-Noël Cazalis, opted to implement a high impedance solution. Being a major provider of event sound, and with the contract for the Grand Prix of Pau for three years, AES was able to invest substantially in the system and chose Community R SERIES loudspeakers, which provided the sound quality, high output, controlled coverage and all-weather capability they wanted. Powersoft M Series amplifiers were chosen to complete the ideal system.